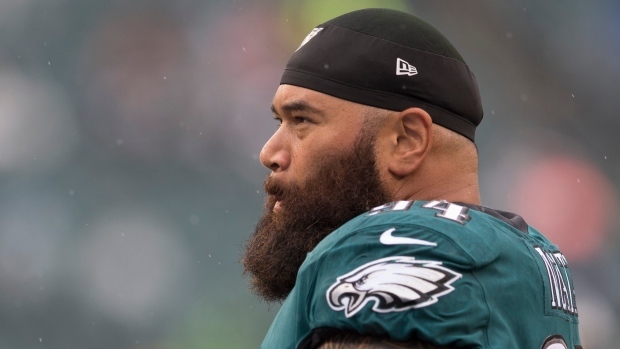 Five-time Pro Bowl defensive tackle Haloti Ngata, who played for the Ravens, Lions, and Eagles in his 13-year career, has announced that's he's retiring from the NFL. The 35-year-old Ngata made the announcement on Monday in quite the fashion, posting a picture of himself on Instagram standing on Mount Kilimanjaro in Tanzania, Africa, with a flag that read "I'm retiring from the NFL on top". "Just a man standing on top of the world with a heart full of gratitude. Thank you Lord for letting me play the game I love for 13 unforgettable years. I’m retiring on top. I might be finished playing football, but I’m holding tight to the friendships, memories and wisdom I’ve gained along the way. “Nobody who ever gave his best regretted it. Walking away with no regrets, just peace in knowing I gave it my all and had a helluva lot of fun doing it." The defensive tackle’s career began with the Ravens, who drafted him the first round (12th overall) in the 2006 draft out of Oregon. He went on to spend nine seasons with the club before being traded to the Lions ahead of the 2015 NFL season. Ngata then played three seasons in Detroit before signing with the Eagles before the start of the 2018 season. He finishes his career with 325 tackles, 32.5 sacks and five interceptions.